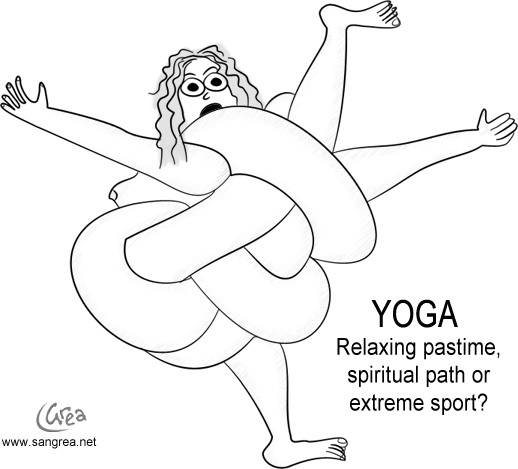 Ok. You just decided to go to yoga and don’t know what to expect. The first picture that comes to your mind is a group of very flexible people doing poses that you imagine are nearly impossible to achieve. But you decide to go anyway, believing that millions of people claiming that yoga can do amazing things can’t be wrong, right? In this post I want to share some tips what to expect and how to make your first class a great experience. 1. Be early! Arriving to class 10 or 15 minutes earlier helps to situate yourself in the new surroundings. Get to meet the teacher before class and make sure to point out that this is your first time. See the room and find a good spot in the class. This leads me to the next point. 2. Don’t be shy! It’s very common that the “regulars” like to take up the front spots and the new ones rather stay in the back. There are no hierarchy spots in yoga class, other than that the teacher should ask you to be up front and more visible to him. If you stay in the back, the probability that you miss good instructions is higher. 3. Do it for yourself! In “all levels classes” it’s very common to be with people with different backgrounds. Some practice longer, some are new, some were athletes or even dancers. That is why nobody should even think about comparing themselves with the others – yoga is just for you. 4. Pay Attention – Listen to what your instructor tells you. Again, everybody and every body are different. Normally in a good class nobody will demand that you go beyond your physical limits and level! This would just make you uncomfortable and can lead to injuries. Your teacher will tell you how far you can go. 5. Enjoy! Even if some exercises seem difficult, normally the teacher will give alternatives, stick with them and you will work more effectively and the benefits are the same. Yoga is a personal practice, to get to know your body and reconnect with yourself. There is no competition in yoga only progress!